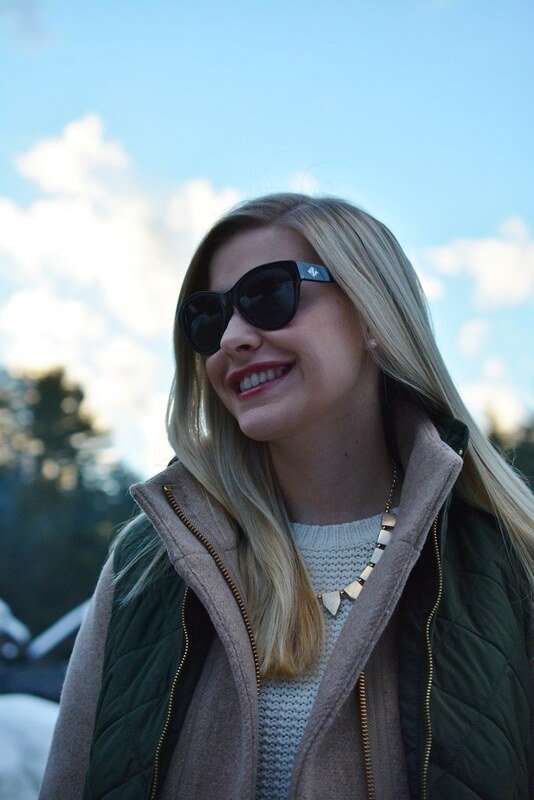 The puffer vest is a great layer for those cooler Fall days where you need that extra layer. However, the season for wearing it is often short and your vest gets little use once winter sets in, especially this year with the polar vortex. 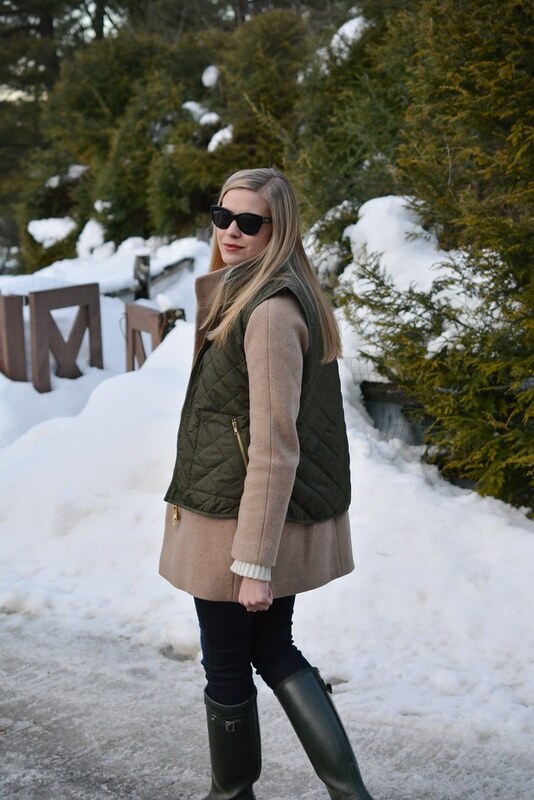 To help maximize my puffer vest this year, I have started to layer it over one of my favorite wool winter coats to add texture and a sporty effect to an otherwise dressier coat. You look goooorgeous! 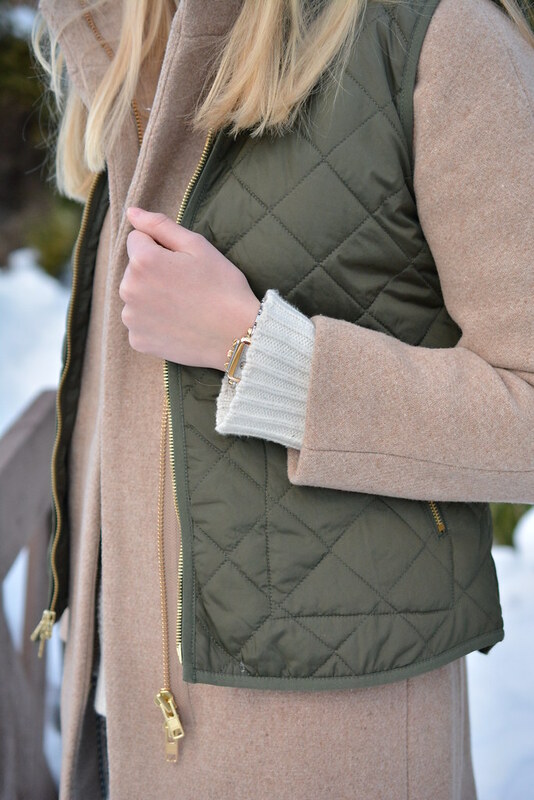 I love the look of the vest over the coat. Such a great idea! I NEED to go to cold weather so I can try all these cute outfits! 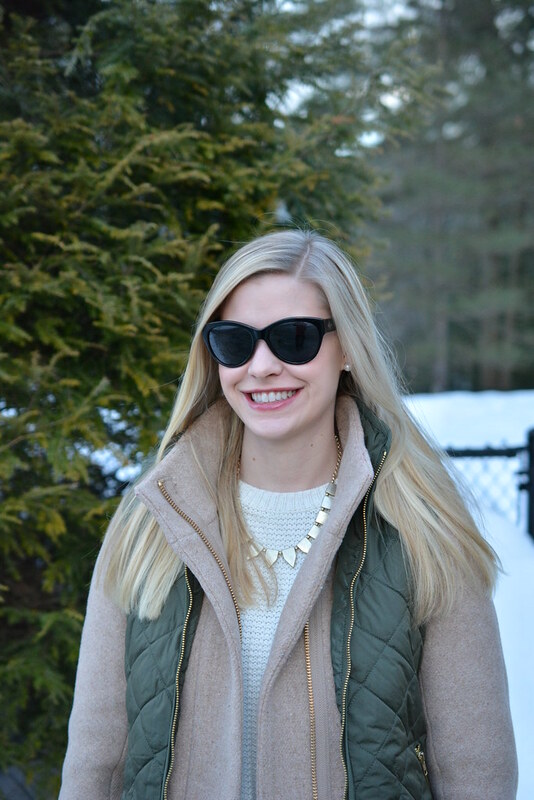 I am loving this coat, great job layering!